Do you think your drywalls are damaged easily even by a single nail? That's true! Though, it's also true that they are fixed equally easily. When it comes to small holes, drywall repair is a piece of cake. Do you find a few cracks on the drywalls, too? This is kind of natural since the materials your house is made of react to the fluctuations of temperatures. Such repairs are usually easy. Nothing you can't handle especially if you know how to use spackling and have some basic tools in the house. A small earthquake, heavy steps on the top floor or bad quality texture coating of walls could be the reasons for some wall cracks. Drywalls are also damaged when you remove ceiling mounted equipment or punch the wall with your hand to express your anger. The latter can be prevented but the former is not. 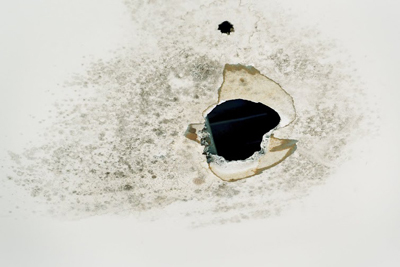 As a matter of fact, all homes have small and large holes in the walls. When you get tired of the same family picture of the wall and want to leave the drywall empty, nail hole repair will definitely be necessary. The smallest the damage, the easiest the process! When it comes to small holes, you just have to use spackling and the right spackle tool to cover them. You must make sure it is properly inserted in the hole and there are no lumps. If the hole is deep, you might need to repeat a few times. This material will change color once it is dried but it's also good to use the same textured paint of your wall to hide the imperfection. Cracks will also need spackling but also sanding so that the drywall will be flat and smooth before it's repainted. When the problem is bigger, blemish repair with such materials and home tools won't do the job. Big holes should be patched by professionals. 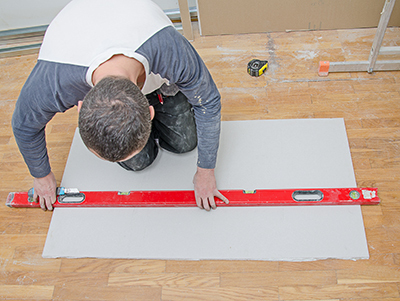 Even if you decide to remove part of the drywall and replace it with another, remember that it requires precision especially in measurements. The new part must be fitted perfectly and screwed properly, sanded and coated. Of course, if there are many holes, cracks and defects, it might be to your interest to consider drywall removal. Sometimes, it costs less to replace the existing drywall instead of fixing hundreds of problems without the desired results.